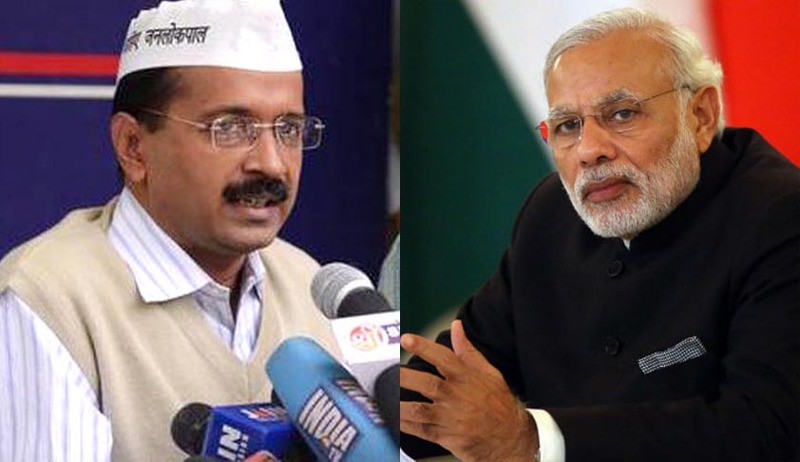 The Supreme Court has in a very significant decision admitted a petition filed by Delhi’s Kejriwal government--- under Article 131 of the Constitution - seeking a judicial declaration on the boundaries of the constitutional relationship between the Delhi government and the Centre, in administering the national Capital especially to clearly earmark each of their powers. The Registry of the court issued summons to the Union of India “represented by the Secretary in the Ministry of Home Affairs” on May 11 and specified that the matter would be taken up after the apex court’s summer vacation ends on June 28. The Supreme Court, having taking cognizance of the Delhi government’s suit filed under Article 131 of the Constitution of India, has issued a summons to the Union of India (dated 11 th of May, 2016) to appear before it and respond the to claim made by the Delhi government, failing which the suit will be decided ex parte. Article 131 of the Constitution of India vests exclusive jurisdiction with the Supreme Court of India over disputes between States of the Union and between the Union and its States. It is the stand of the NCT of Delhi that it is a State for the purposes of Article 131 and that the disputes arising between the NCT of Delhi and the Union of India can only be adjudicated upon by the Hon’ble Supreme Court. It is also the stand of the NCT of Delhi that as per Article 239AA of the Constitution, it has legislative and executive powers in relation to all the entries appearing in List II and List III of the Seventh Schedule of the Constitution, save and except for those that have been reserved for the Union by Article 239AA (3), i.e. Entries 1, 2, and 18 of List II and Entries 64, 65, and 66 of that List in so far as they relate to the said Entries 1, 2, and 18. Petitions have been pending in the High Court of Delhi filed both by NCT of Delhi against Union of India, and by Union of India against NCT of Delhi. This only established the fact that the disputes are of a federal nature and the only court that has jurisdiction to hear and entertain the petitions is the Supreme Court. Accordingly, an application has been filed in the High Court to stay all further proceedings that court. There have been major differences of opinion between the Union of India represented by the Lieutenant Governor on the one hand and NCT of Delhi on the other hand, relating to the nature and extent of their respective powers of governance. The Government of NCT Delhi takes the view that having regard to the fact that it is a popularly elected government, it has sole and exclusive power to deal matters within its legislative competence without reference to Lieutenant Governor. On the other hand, the Lieutenant Governor has been acting in relation to subjects which are within the domain of the Government of NCT Delhi including the posting and transfer of public servants, registration of cases under the prevention of corruption act and prosecution of crime. These and other similar controversies have affected the day to day functioning of the government of NCT Delhi and amount to a usurpation of powers of a democratically elected Government by the Centre. In order to put an expeditious and authoritative end to these controversies, the NCT of Delhi has filed a suit in the Supreme Court of India under Article 131 of the Constitution of India against the Union of India for a declaration of the constitutional relationship between the Central Government and NCT of Delhi as set out in Article 239AA of the Constitution. The Constitution has distributed legislative powers between the Union of India in List I and powers in List II to the State. Powers in List III are concurrent. In the case of NCT Delhi however, the subject matters of Police, Law and Order, and Land in List II are reserved to the Union of India unlike in other states. Disputes have arisen over the last year on the question whether Delhi Government can act in relation to the other matters in List II, without prior approval of the Administrator, that is the Lieutenant Governor. Several orders of Delhi Government such as for example increasing the salaries of DANICS officers have been declared null and void by the Lieutenant Governor on the ground that the Delhi Government has no power to increase salaries of its staff. The Anti-Corruption Branch, Delhi has been restrained from registering FIRs against employees of the Central Government for corruption. Commissions of Enquiry set up under the Commissions of Enquiry Act, 1952 have also not been allowed to function on the ground that they have not been notified by the Lieutenant Governor. It is in these circumstances, that NCT of Delhi has come to the conclusion that these questions relating to the distribution of legislative and (co-extensive) executive powers are questions that require to be resolved finally and conclusively by the Supreme Court of India so as to prevent any further disputes on the interpretation of the extent of the respective powers of NCT of Delhi and the Union of India. These matters raise issues relating to the federal structure of the Constitution under which the Center and the States have plenary powers within their respective spheres. It is the contention of NCT Delhi that the Union of India is encroaching on its powers in exercising executive power. It is the contention of NCT Delhi is the suit that the Supreme Court has exclusive jurisdiction to decide disputed relating to the constitutional relationship between the NCT of Delhi and Union of India, and no other court has jurisdiction to entertain such a dispute since it is a dispute between the Union and a State, and impacts the federal structure of the Constitution.